A lot of people say you need to have a well-paying job in order to afford your trip. But Michael (age 27) never had one of those, yet he still managed to save $14k in six months while on making $9 USD per hour! When he told me his story, I knew he was perfect for this week’s success story. He epitomized the idea that anyone can find the money for travel. So, without further ado, let’s meet Michael and find out how you save so much money while making so little! I was living in Austin, Texas, before I became a citizen of the world. I had always wanted to take a year off and travel the world. I had taken small trips overseas in the past and would meet so many travelers who were taking months or years off to travel. Those people put the idea in my head that maybe I could travel for extended periods of time too. When I graduated from college, I spent a year and a half looking for a teaching position but couldn’t find one. I started entertaining the idea of selling everything I own and taking a year off to travel, but still, it didn’t really seem feasible. Since I couldn’t find a teaching position, I got a job as a cook at a pizza place in Austin. I was only making $9 per hour plus tips. How long were you planning on traveling? I was just planning to be gone for a year. Once I started researching how to travel the world, I came across several blogs of people offering words of encouragement and advice. I had looked up RTW tickets and thought that would be the best way to go. I had started organizing and planning the entire year: what cities I would go to, the cost of living in each country, etc. But then I thought, “How the hell can someone plan for an entire year?” I was new to planning a trip but still knew there was just no way to plan anything for an entire year. Now, I’m just going to go with the flow and be gone as long as possible. That’s the best way to go! What fears, if any, did you have about your trip? I was afraid of two things. First, I feared what people would think. I was about to embark on something extremely unorthodox where I come from, and I knew no one was going to understand. Instead of people asking me why, people were amazed that I actually had the balls to do it. My family was supportive and thought it would be a great experience; friends were probably a little jealous but they were supportive and couldn’t believe what I was doing. Everyone thought I was crazy but in a good way. I have had 100% support from my friends and family. I still get to keep in touch with everyone regularly through email, Skype, and Facebook. The second fear I had was about the trip itself. I thought to myself, What if I spend all this money, and waste so much time just to have nothing work out the way I want it to? But it was just fearful thinking creeping its way into my mind. The bottom line is, no matter what decision you make in life, you never know whether things will work out for you. As long as you pursue what your heart is telling you to, things will always work out just fine. Thinking that things might not work out went against my newfound way of thinking. I have been gone for two months so far, and already things have worked out better than I could have imagined. Was there anything specific about this site that helped you overcome those fears? I was inspired by your website not to plan. That’s one of the reasons why I like your blog so much, because it’s written from the perspective of someone who waved off fear and the societal norms that prevent us from traveling and just went for it. I wanted that for so long but didn’t think it was possible until I started reading your website. To keep my inspiration alive before I left, I would tell friends and family about you and tell them “Look, it is possible.” When my friends told me I was crazy and that they would never be able to do it, I would email them posts from your site, so that maybe they would be inspired too. Or at least, they would have a better understanding of where I was coming from. Moreover, this site helped me to travel better by introducing me to money-saving techniques such as WWOOFing and Couchsurfing that have helped me save on accommodations. The site also gave me ideas on how to save money on eating, which was something I originally thought I was going to have to spend a lot of money on because everyone needs food to survive. After reading about eating locally I was inspired to cut down my budget even further when it comes to food. Not only is eating locally adventurous and fun but it really does help to save a lot of money. You helped me to realize that the slower I travel, the more money I will save. If you don’t have a set itinerary and have nowhere to be and take your time while getting from point A to point B, not only do you get to see more and take more in but you have the opportunity to meet more people too. Ok, so tell us, how the heck did you save $15k in 6 months? I decided I wanted to save $15,000 for my trip, figuring that could last me for a year. I only had six months to save for my trip so I had to work my hardest to be able to get to $15,000. I say I only had six months because to keep myself from putting off the trip and keep myself disciplined, I booked my flight out of the US the day I decided I was going to travel around the world. At first, I thought I would get a second part-time job, upping my total work hours to 60 a week. I was only making $9 USD per hour so it’s not like I was living the rich life. My boss ended up giving me the hours I wanted, so there was no need for a second job. On top of the 60 hours he gave me, I would eat up others people’s hours if they called out of work. On average for five months I was working about 65 hours a week. Life was tough, but I kept my goal in sight and fought through it. In those six months, I put myself on a budget: I would limit myself to drinking once a week, eat food from work as much as I could, not use my air conditioner as much (that was the worst, as I was living in Texas), and try to lower my electricity bill by not using as much light. Basically, I put my expenses into two columns: wants and needs (a friend of mine came up with this money-saving technique). Every time I was to spend money I would ask myself if it was a want or a need. If it was a “want”, I would usually come to the conclusion that it was a waste of money. Aside from working, I sold stuff to make money. I sold almost every electronic item I had, like my TV, guitar amps, and such. I figured I could always get those things again later in life if I wanted them. I also sold my car. I didn’t actually reach my goal of $15,000. I was close, though, at about $14,000. The life of working so many hours got to me, and I started drinking a lot with friends. Not just because of work though; I wanted to have as much fun with everyone that I could before I left. I wasn’t sure when I was going to see all my friends again so I wanted to live it up, but that’s OK.
What about life on the road has surprised you the most? How much people are willing to help you out. I didn’t think people were going to give a damn about me; if I was lost I figured they would say “good luck kid, can’t help you!” If I didn’t know how to communicate, I figured people would give up, but none of that has happened. If I’m lost people will help me find my way; if I can’t communicate, people will be patient and honestly try to figure out what I’m trying to say. If I’m lost and I can’t communicate, most people will tend to realize my problem and then point me in the right direction. Being lost and asking someone for directions is a great icebreaker at the very least. Some of my best conversations have started with me asking people how to get somewhere. How do you stay on budget when you travel? I would think after living so frugally before you left that you would want to splurge on your trip. Staying on budget is tough. Sometimes you want to eat an awesome meal, and sometimes you just want to get really drunk. I have no problem with indulging from time to time. You’re supposed to have fun while traveling, and eating and drinking are some of my favorite things in life. But you have to remember to do those things in moderation. Before I left, I figured how much I would be able to spend every day to be gone for a year given the total savings I have. I just stick to that. If I find myself in a surplus then I will get a nice meal and drink. If I’m not, than I will conserve my money. Budgeting to me is a science. I did research on the cost of living in several parts of the world to help plan out my budget. I thought the biggest challenge was going to be finding my way around the countries where English isn’t spoken very well. And it is a challenge, but it’s a fun challenge, and not as frustrating as I thought it was going to be. Sometimes I end up at the wrong place, but I just laugh it off and enjoy where I am. The great thing about traveling without time constraints is that if you have nowhere to be, it doesn’t really matter where you are. Don’t think about the destination, just enjoy the journey. What advice would you offer to others who want to travel but might not think they can? I would tell them to make a list of all the reasons why they think they can’t and then one by one come up with examples of how they could overcome each reason. I would also encourage people to read about others who have done the same thing to realize that it is possible and really not that hard. 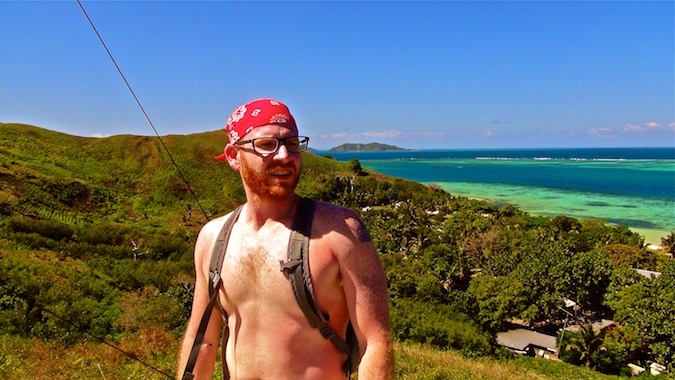 Michael’s story shows us that you don’t need some high-paying job to travel. Even on a minimum-wage job, if you are diligent enough, you can save enough to travel around the world. Michael made his trip a priority and cut out all wasteful spending. If you’re having doubts about your ability to save money and travel — whether it is for a two-week, two-month, or two-year trip — think about Michael. If he can do it while on earning $9 per hour, you can do it too! This is a really inspiring story. The dedication of grinding out the 60 hours+ per week for 6 months is pretty telling regarding Michael’s level of determination. I really liked this statement – ‘The bottom line is, no matter what decision you make in life, you never know whether things will work out for you. As long as you pursue what your heart is telling you to, things will always work out just fine.’ That’s almost poetic and very true. This has renewed my determination to go travelling again, thanks for an insightful interview. I love that quote too. I’m about to make quite a big decision that has both positives and negatives (what big decision doesn’t?!) and I’ve been thinking the same thing – everything turns out ok in the end. You make it work. You move forward. Everything happens for a reason. this man has the courage and conviction to do what he wants. great story. I love this story! I just announced to my friends and family my intention to do a RTW trip. I planned on saving double the amount Michael did. After reading this, I’m more inspired then ever! Thank you so much for this wonderful interview! It’s really interesting for me to see how greatly your country of origin changes your perspective. In Poland, where I am from, earning 9$ per hour makes you already quite rich (kind of the lower part of the upper middle class;) ) and would make me travel the crap out of the world, just like Michael did. And a budget of 15k looks like enough for a world travel for TWO. I actually know at least one couple who did this (without living like bums;p). Personally, I am travelling not as much as you, Matt, but at the same time also much longer than the average person (3-4 months per year). I am averaging a 400-600$ per month budget on each trip, although there is nothing to compare, because I’m mostly on a quite different standard than you (CS, camping, home stays, hitchhiking, etc). I totally agree with you, Addam, same situation is in Ukraine 🙁 I WISH I could earn 9$ per hour so that I would have done my RTW trip years ago 🙂 But saving is really hard with average salary of 200$ in my country. We will be in Warsaw on a stopover for 7 hours Sept 29th. I can’t wait! Any suggestions? Such an inspiring story, I am giving myself a year to save up £10k but the good thing is I have cleared all my debt so I have no excuses now to not following my dream. Roll on 2014. As a backpacker myself, this article covers all the pressing questions people have asked me and worried about. I feel so defeated when people say silly things like, “Oh it’s my dream, but it just costs so much.” When in reality, for those of us who have made a trek, know that the “impossible” is most definitely possible. If you can save 15k, off $9 an hour, than almost anyone can do it. The question people really have to face, all money aside, is if the desire is really there. Travel is more than money, but a mindset. If you can put your heart and soul into saving and dreaming, than travel will follow with benefits and happiness that words can’t even define. Cheers to Michael! Hope you’re having the best time. Let’s keep inspiring people to travel. Hey everyone, Michael here. Im 6 months into my trip and would like to clarify some things and teach what I have learned so far. One: The $14,000 I earned is way more than enough money, you really don’t need this much money. Of course it depends on how you travel, but if you put to use the money saving techniques Matt talks about then $14,000 is way more than enough. I was in New Zealand for seven weeks and only spent $300 the whole time. It looks like I will be going home with money left over. As I look back, I don’t regret working that hard to save money, I only wish I knew I didn’t need that much money and I would have left a lot sooner in my life. 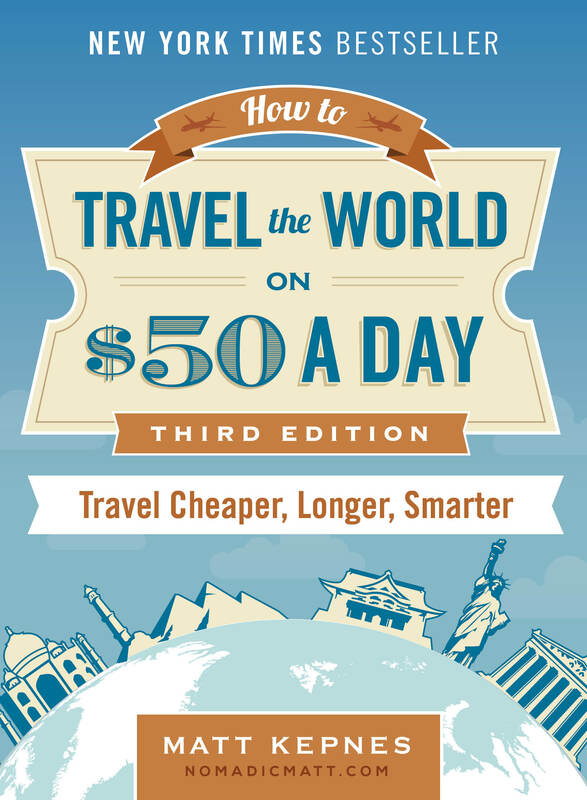 I always tell people I meet “if I knew traveling was gonna be this cheap and easy I would have been doing this ages ago.” which brings me to my next point. Two: its eluded to above, but it isn’t so much about the money, its about your determination. If you are truly determined to go out and travel then just go and do it. Having money is only a safety blanket which does feel good, but isn’t as necessary as you think if you employ Matts money saving tips. Hope to see you all on the road soon. 🙁 He’s losing $15K for traveling? Sounds to me like he is winning! Travel > $. Yes, 65 hrs/week x $9/hr x 6 months = ~$15,000 which implies freeloading, but if you’ll recall Michael sold his car and surely other things to contribute to the funds he got on the plane with. Be inspired rather than poking holes in ones travel dreams! It CAN be done! Thanks Matt for posting. Will RT for my followers. Loved this! Really makes me aware of how much my money just slips out of my pockets and disappears lately though! Inspiring, however you don’t need $15,000 I set of on my RTW trip with just £2,000 that I made working for £5 per hour and I was traveling for a year, planning on doing the same thing again later this year. That’s inspiring Claire! Matt should do an interview with you too. I usually hear about people saving $10K – $20K to start their RTW trips, so it’s refreshing to hear about someone starting with only £2,000 for a year-long trip. I’m squeezing my travels into my vacation time from work but I love to read about people that travel all year. Over the past two years I visited Las Vegas, the Grand Canyon, Paris, Madrid, Barcelona, Vienna, Venice, Romania, London, Costa Rica, the Florida Keys, Cancun, Cozumel, and the Bahamas — all while working full-time. Hey Melanie, Thank you for your interest, I managed to travel for the year picking up odd jobs along the way and working in places for food and accommodation…wow that is a lot of countries to visit whilst holding down a full time job keep it up. My husband and I moved to Ireland after we got married with around 4,000 AUD, stayed in hostels until we found work, travelled around Ireland while we worked and saved enough to backpack through Europe on our way home for 4 months. Great story! It’s always excellent to hear about people putting travel first as their number one priority and making it happen. So many people claim they want to travel but cannot save to do it – that’s just a convenient excuse though, as Michael’s story proves! These Success Stories have been great this week – very inspirational. Not the success of leaving, but the success of returning. I’ve yet to read anything about it on this blog, but the main worry for me is what taking a year, two years, or more out of my career will do for my prospects when I finally get back home. Leigh, I think it improves your prospects when you return home. I worked and travelled for over 8 years. When I returned back to Australia to get a job all the recruiters and employees were amazed at the variety of work and the amount of travel I had managed to do. I was suprised to hear that they were impressed by my call centre jobs that I picked up in Spain during the recession. It had nothing to do with my previous experience but they said it showed determination to work and that I made the most out of any situation. When I worked in Australia I was in a better job and on more money that before I left and while I was travelling. I worked in that job for almost two years and they completely understood when I told them I was leaving to go travel again. So I’ve been back on the road again for the last few months and that employee told me to look them up when and if I return to work in Australia again. I guess it depends on what industry you are in, but I think most employers look at travel and working travel favourably. What an inspiring story! I’m actually trying to save some money for next year for my next trips, hopefully my savings from this previous year will be enough to sustain all my travels. I’m glad to hear your travel success and good luck on all your future endeavors! This was a great post. I’m so glad to hear that Michael’s “big secret” for achieving his dream was good old-fashioned hard work, and that it paid off for him in spades. Really cool to see another Texan getting out into the world! You put my savings to shame, Michael! Your story is very motivating Michael. Lots of work and self control for 6 months and then it is all worth it. Sounds like you are really enjoying yourself now. Good Luck. Great story Matt. Great story! Our story is actually quite similar. We’ve managed to stay on the road for over 3 and a half years so far by employing very similar tactics. When we first started planning for the trip we were in Canada and managed to save 70% of our wage for one year, giving us enough money to travel for a few years. After that, when money was getting close to running out (Nobody wants to hit zero) We got a job teaching English in China and now we’re making about $15 / hour and we should save about $18,000 when this contract is up giving us another year on the road! Plus we’ve spent the whole year living like kings in China! Like this post says, It can be done… quite easily! If you want more tips on how to save money for travelling, or tips on life teaching in China, see the links below! Thanks for this post Matt & Michael! Great Info! His saving trick reminds me of my Mum.. Life was difficult when I was growing up. Financial resources were very limited and we survived those years because of my Mum’s motto. Before shelling out any money, the golden question pops out? Is it necessity or not? They tip COOKS in Austin? In the service industry, waiters generally give a small portion of tips to the kitchen staff. I worked as a cook for 11 years. Most of my family worked in restaurants, some for 30+ years. No one got tips except bus boys (min wage plus a split of 15% of servers tips) and servers (1/2 minimum wage plus tips). In my experience kitchen staff got straight hourly. Hosts and other dining room sometimes shared in tips. I grew up in a service town/region in the US. Thanks for sharing the info! I just thought it was shared all around! That said, I am impressed. The best I did as a cook was when I saved around $7000 In a summer 🙂 14 or 15 is quite a feat. I was making 9.75 for 56 hrs a week. Excellent piece! I really like te part about people’s willingness to help you. I find that most people are inherently good and more than willing to lend a helping hand. It’s contrary to what is usually portrayed in many media outlets, so it’s great to see another story touting the kindness of humanity. Interesting story, but I wonder why he didn’t think about teaching overseas instead of working in a pizza parlor? That’s the easiest and best way to travel and make money while you’re doing it. If you go to somewhere like Korea, you even get free airfare and a free apartment. I moved to Thailand 10 years ago to teach English. Planned on staying a year, just never left :), and yes it’s the best thing I ever did. Since then, I now run my own business in Thailand and spend months of the year traveling around Asia and Europe when I’m not working. How did you feel as a woman moving to asia? Did you do it by yourself? I thought traveling makes you look younger. He looks older than 27. I think what he did is admirable though and I bet he’s a better person because of his journey so it’s all good. There are actually many families that travel the world with young children. It’s a great way to introduce your children to new cultures. Although, it’s not as easy as being a single person, it can be done with a little planning. Older children have to be home-schooled while on the road. I follow several blogs of families traveling with children and it’s very inspiring. I’m currently trying to convince my husband that we should do it. I was thinking about that, when I read the lines. I had to bring up my four children most of the time by my own. There were no possibilities to travel, but once I made it true for my childrens sake. When they were grown up I worked outside my country – as I do now – and I invited them to visit me hoping to give them the travel bug, too ;-). I just postponed my travel around the world because my children. I will start in a few month because I am still trying to save money for this big adventure even I am looking for couchsurfing and so on. I am not only planning, but meanwhile also buying the gears i need. I could have had more savings already, but I am travel adicted and make short time travels (around two weeks each) meanwhile I save money for that big trip, because I cannot stand without traveling. Children costs as much as travelling, but your time will come! Maybe you were younger than me getting children, you can start earlier with your trip. I will be 65 years old when I live my dream. It is never to late. Look forward and do not give up your dream! if you have 1 kid, it will be much easier than having the entire bunch of kids with so much planning before a trip. before saving, its about being frugal , before any $ shell out, that will help save alot of unnecessary expenses. Inspirational story. Thank you for that. But I’d just like to point out one little thing… Where I come from $9/hour is a lot of money. It’s sad that this has been a post for a year and nobody has pointed out the lack of basic math skills. In 6 months you can’t even make $13k, before expenses, let’s generously assume tips cancel taxes. So unless someone is living for free, not happening. And no mention that working part time for 60 hours is illegal? As Michael states in the interview, he did crazy overtime! He was making 9 dollars a hour, while working an average of 65 hours a week. That gives him 585 dollars a week before taxes. He saved for 6 months or 26 weeks, which gives us a total of 15,210 dollars in total (still before taxes). He said he saved 14,000 dollars in total, which gives him 1,210 dollars for living expenses for 6 months. This would mean to meet this he would have a budget of 202 dollars a month. This is all still before taxes. Unless he was squatting, dumpster diving, and not paying any utilities for the squat this is clearly not possible. You can tell this was not his lifestyle as he was worried on how people would see him for traveling the world. He sold all his stuff plus when you are working that much, you also get overtime. Moreover, he said he ate his meals at work. It’s possible. It’s hard but possible. I think the car made a difference. Another 1000 to 1500 dollars may be. So basically Michael lived off his car and saved his wages. Hard, but possible. Michael is an inspiration. I’m currently focussing on getting loan-free. Will start with a100 day Pan-India tour after that, most likely in my car. RTW comes later. Matt, where is Michael now? Do we get a followup post? I’d love to hear how his year on the road is going! Agreed! I would love to know where he’s at now! I agree with you. He must have got heaps of money with his tips. Just calculated: when you work 6 months and 60 hours per week for $9 per hour, you just earn $14.040. So he needed to cover his normal living expences with his tips and what he sold. Cause he saved every Dollar he earned. So in reality it is more than $9 per hours. But still a great story. And working 60 hours per week is quite exhausting. Just believe in your dreams and you can do everything. And I also agree with you, that you can start travelling with less money. I spent 5 months in Australia volunteering and travelling with not even half of the money. Actually, anything over 40 hours a week is overtime and pays $13.50 an hour; so on average he worked 25 hours of overtime per week. 9*40=360 + 13.50*25=337.50; total weekly income =697.50; multiply that by 52, then divide by 12, then multiply by 6 and his total earnings was 18135. Subtract 14000 (which is what he ended up saving) and he had 4135 to spend on 6 months worth of expenses, which was never specified exactly so we cannot speculate. I said all of that to say, do not discredit what he did. I am truly inspired by his dedication! Is Michael blogging his travel? Does he have a website? 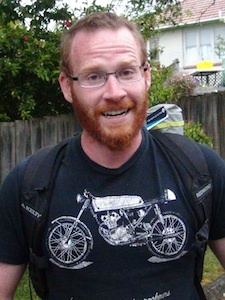 Would love to hear how he spent 7 weeks in New Zealand on a $300 budget. This is so inspiring. It takes courage to take the decision of leaving friends and family behind in pursuit of your dream. I am hoping to get to the point soon where I could take such passionate decisions.. This story has been extremely inspiring for me! I’m currently saving up for some long term traveling(and first time out of the US) in November through Southeast Asia then New Zealand. I work 47 hours at one job and serve 3-4 nights a week at my other so I know first hand it isn’t easy, but it will be so worth it. Cheers to you, Michael, and I hope your trip went(is still going?) well! Would you please tell the story how was your travel to India? How long did you stay in India and how did you manage day to day expenses? Why do you think that alison? The only thing I thought would be difficult with those hours/wages is also paying his rent while saving that much… but we don’t know his exact living situation. We also don’t know how much he sold all that electronic equipment, car, etc. for – which would have made him several thousand dollars at least. Matt actually provided a great financial analysis in response to John’s comment above. 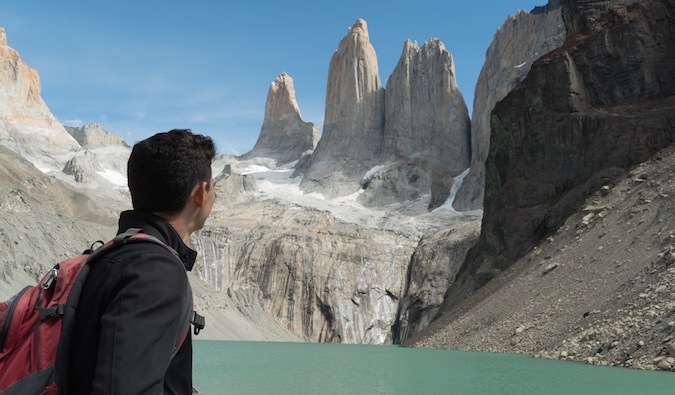 Because Matt’s a G.
Michael’s story proves that the main thing you need to travel is passion – if travel is in your heart and you’re willing to work hard, you can make it happen! Thanks for the inspiration, Matt and Michael. Inspiration that inspires 😀 Where is the I LOVE THIS button when you need it!! I was about to cry while reading this, this is exactly the inspiration I was looking for 😀 Thank you!! I’ve been on your blog all day long and I’m excited about our upcoming adventures! Good Luck! 😀 It’s almost summer enjoy your trip and take lots of pictures! Don’t forget to share your story I would love to hear how it goes. I’ve been travelling all my life because I had a well paid job…now things have changed and money is an issue…this has forced me to make the decision of a life time: I’m going Global Vision International for 6 months in Fiji…doing an internship as dive master…will be living on a small island for 3 months, in a hut, exploring and mapping the waters with other “volonteers”. After that will spend 3 months in a diving shop somewhere esle more turistic, working with them.. The whole bundle costs about 6.900 euro (flights excluded), plus food for the last 3 months. I will have weekends off which will give me time to explore all the other islands (there are about 300!). 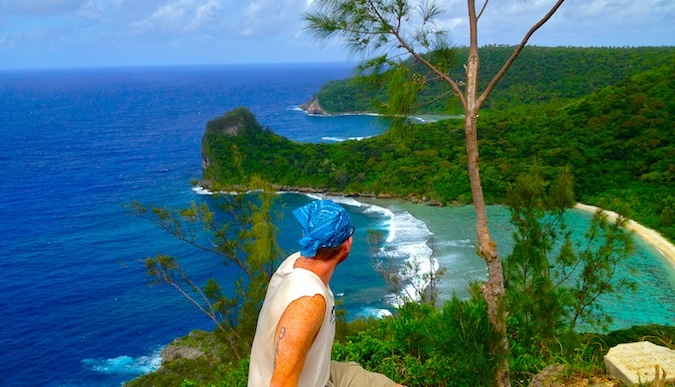 But most of all, this lack of money forced me to FIND a way to do what I absolutely love…travelling to the most beautiful place in the south Pacific and doing something which resembles a marine biologist’s life which was my dream since being a teenager. I’m now 50 and thinking, wow, it’s never too late to start! I will end up with a serious Padi certification which could give the opportunity to work anywhere in the world and with a fantastic full immersion experience on the most beautiful reefs in the world! Love Michael’s comment about fearful thinking and not letting it crush dreams. Thanks for sharing his story! I been wanting to travel for a while now. I’m only 18 and on August I’ll be going to College… Maybe after College? Can you guys give me some suggestions? Well I work at a Restaurant and I’m getting paid cash. Every weekend I make about 300-350 and I don’t have to worry about taxes. However, I do have to worry about paying for bills and rent. I’m only 18 but I have become very independent. Now… I only work 30 hours in one weekend sooo yeah. I don’t think is BS I believe that he is actually making it. Anybody nitpicking about income taxes and tips is totally missing the point. So what if he had saved $12k instead of $14k? Doesn’t make any difference. Of course every situation will be different. Maybe your boss hates you and won’t give you extra shifts. Maybe you’re a jerk and nobody tips you. Maybe you weren’t lucky to be born in a rich part of the world. Point is – Michael did what it took to reach his goal. What are you doing to reach yours? These are great stories but can someone tell me after – when you return how they find jobs ? I was out of work for a year – I’m 43, and it was horrible to have no money . And it seemed at my age no one wanted to hire me . Also, if you get a low paying job later working without any vacation time then what ? You’ve seen some of the world but aren’t you stuck now in a sort of a prison ? These are my fears . Besides my dad having Parkinsons – how do you deal with the sickness and loss of family as you are gone for years ? This young man is so very admirable! With so many young people lost in drugs, gangs and crime these days, he is an inspiration to his generation. Everyone should take heed of his dedication to a goal, the self-discipline involved and the follow-through. Not everyone actually follows through especially with such a major venture. Michael: If ever you wish to travel to, in and around Oregon I can provide you with free lodging. Just contact me through the website by using the comment feature! All happy and safe travels to you! Came by and wanted to point out, he\’s like, a really great employee. Someone willing to work is a hot commodity for a minimum wage job. While 60+ is extreme, I have no problem believing he managed it. It would be harder for someone offically working full time, but part time there are all kinds of ways to wiggle out of paying time and a half, I only really got it if I worked 10 hours in a day. Overtime by too many hours in a week was calculated by if it was over 80 in the 2 week pay period, which was much harder to reach. If you wanted to do this, retail in the christmas rush, hospitality and food stuff in various summer high times are great ways to make money without requiring a degree. Its quicker paced doing seasonal work so its good fun and great money. 14,000 / 6 = $2333 a month. 65 hours at $9 dollar equals = $2340. I knew there was something wrong with this story by just looking at it. Either you saved a hundred percent of your income and you have no bills or the math is off. Love this post so much! 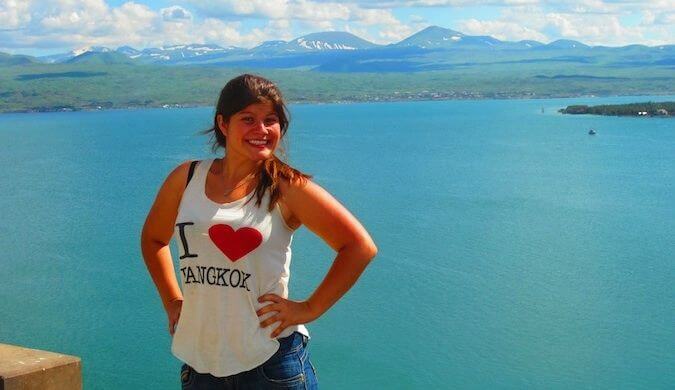 It’s inspiring to hear as a college senior that is looking to go on a post-graduation trip! I’m into 2 years travelling. Considering finding a job for a while to settle as I’m travel weary. I think $15k-20k is the sweetspot for reasonable basic comfy standard travel. It’s a lot less than my expenses back home ironically. I’ve seen super frugal travellers around the 10k mark maybe less. But those guys like hardy experiences, sleeping outside on the street if need be, 1 or 2 meals a day sometimes, stealing, scamming or talking your way into low cost or free stuff all the time, or being really disciplined with what they buy like always self cooking and no drinking smoking at all, or finding work or continuously volunteering while they travel. It’s doable. Good for you Michael, I’d love to see a follow up post about where you are now! This post kind of puts me to shame a little bit, it makes me realise how much more I could save if I wanted to. Yes I live in London, one of the most expensive cities in the world but I’m on a decent wage and could certainly make more of a dent in my savings. One of the issues for me is that I’m 31 and have been travelling (long term) once before, so now am being scolded for considering using my savings for travel rather than buying a house. I do wonder how long term travellers balance future security (house, pension etc) with spending on travel.